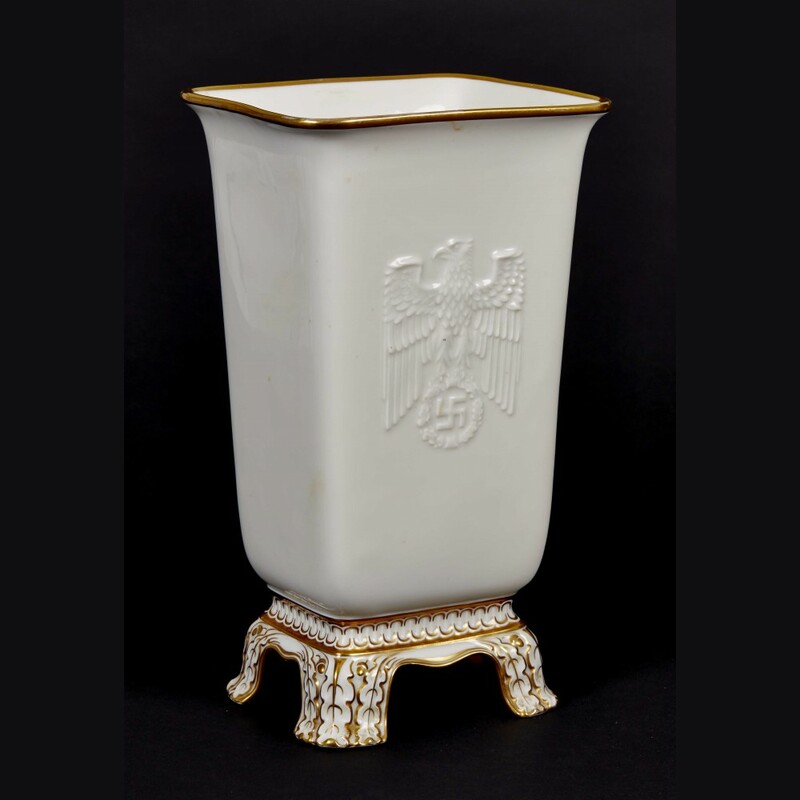 Rare presentation vase from the Gauleiter of Brandenburg. 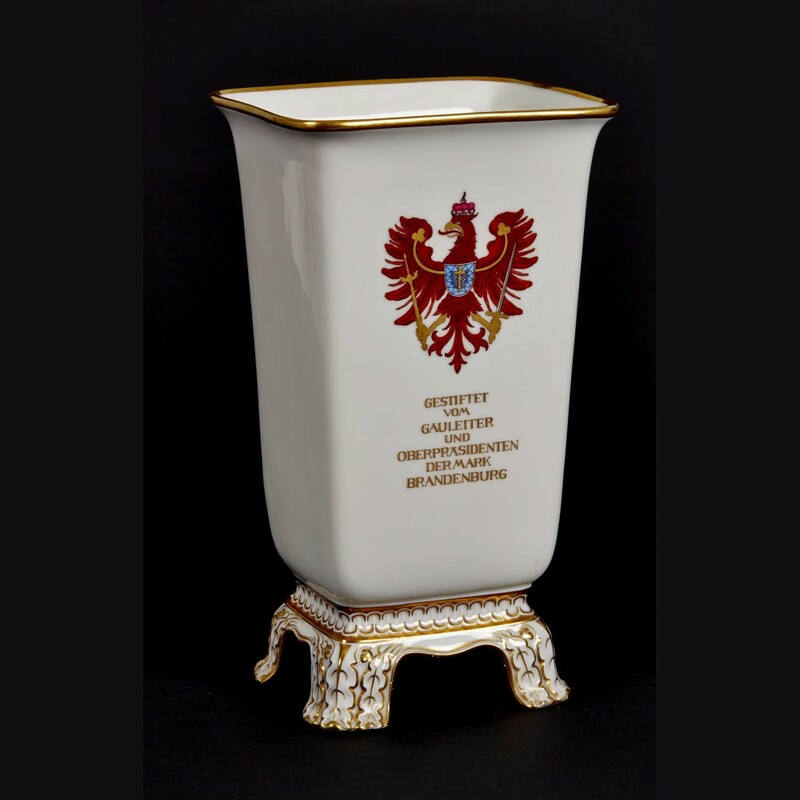 The vase measures approx. 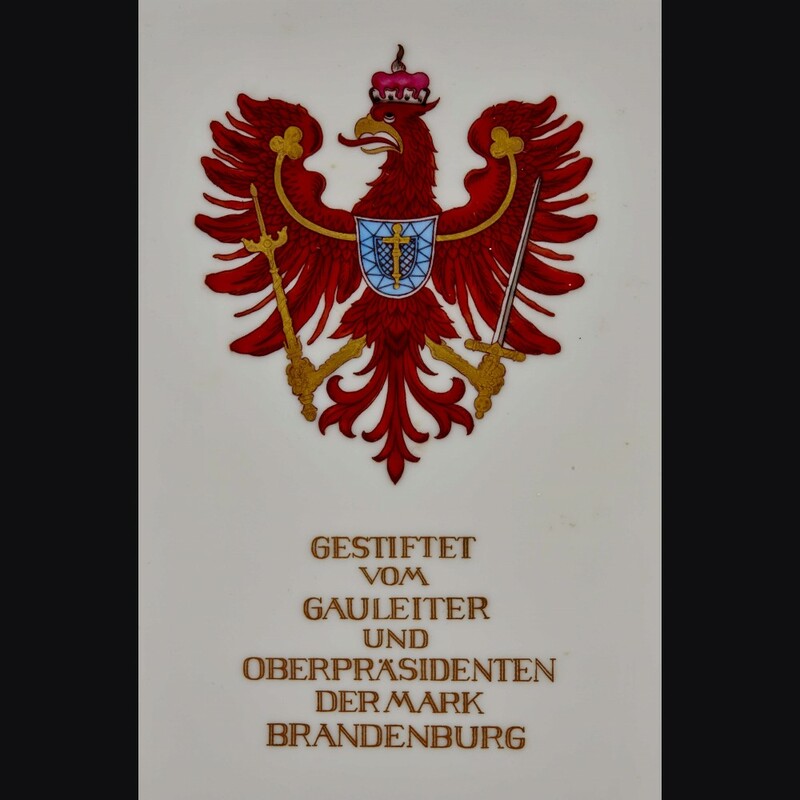 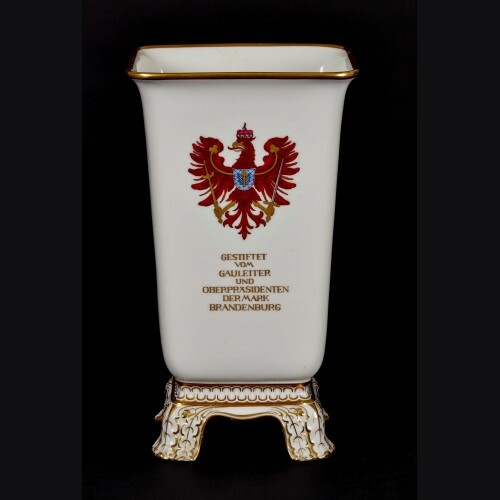 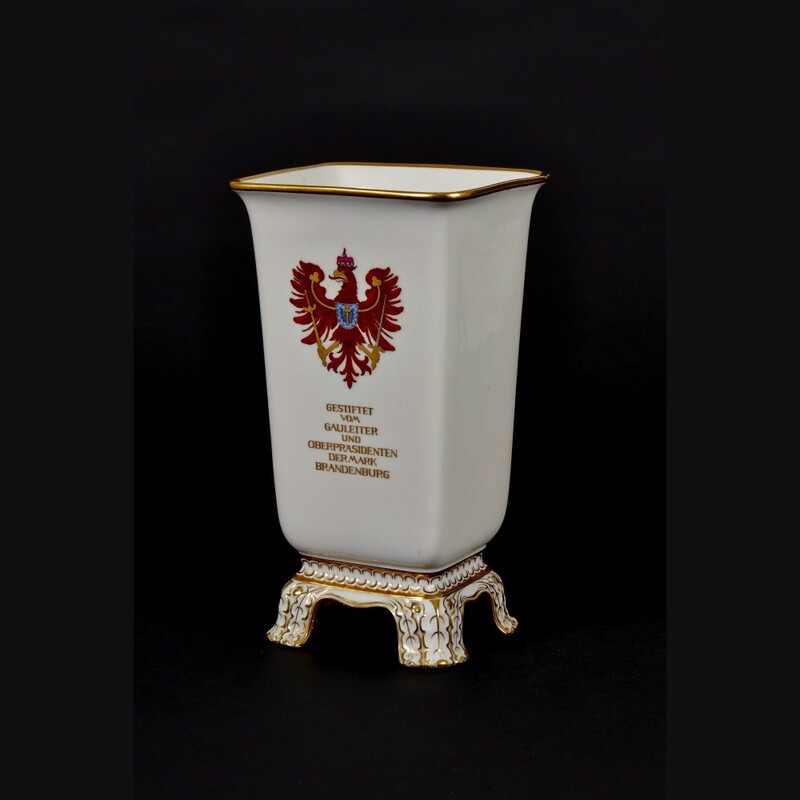 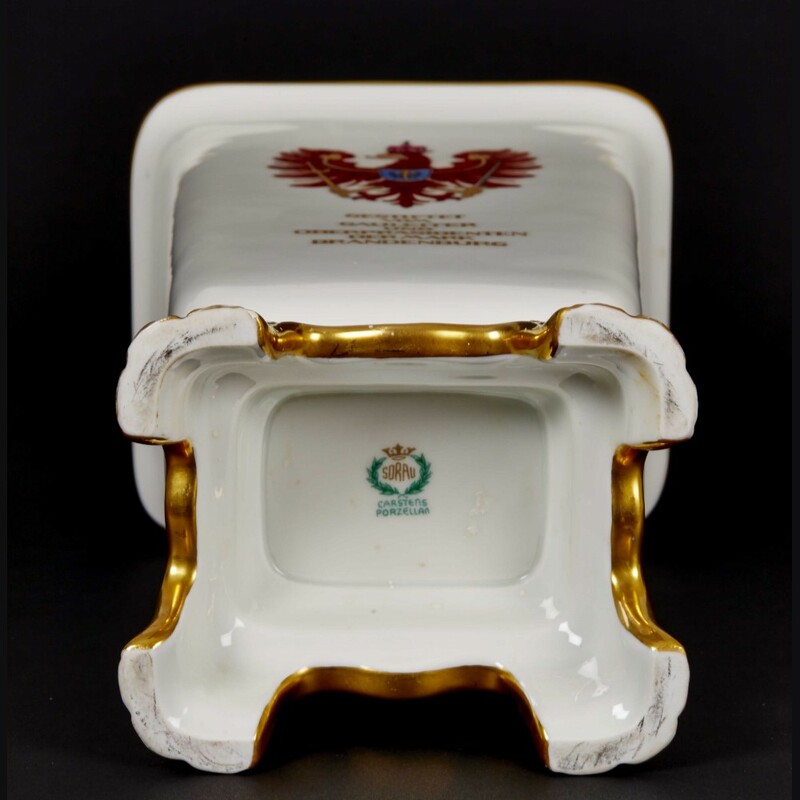 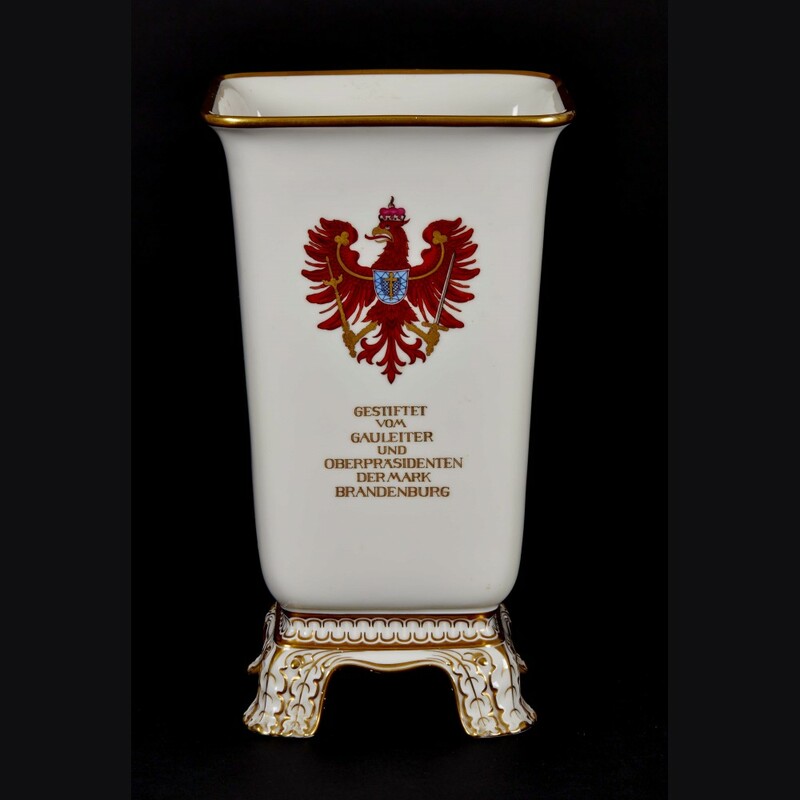 12 inches tall and has a beautiful hand painted Brandenburg eagle to the front with the dedication"Donated by the Gauleiter and chief president of the Mark Brandenburg" in gold leaf. 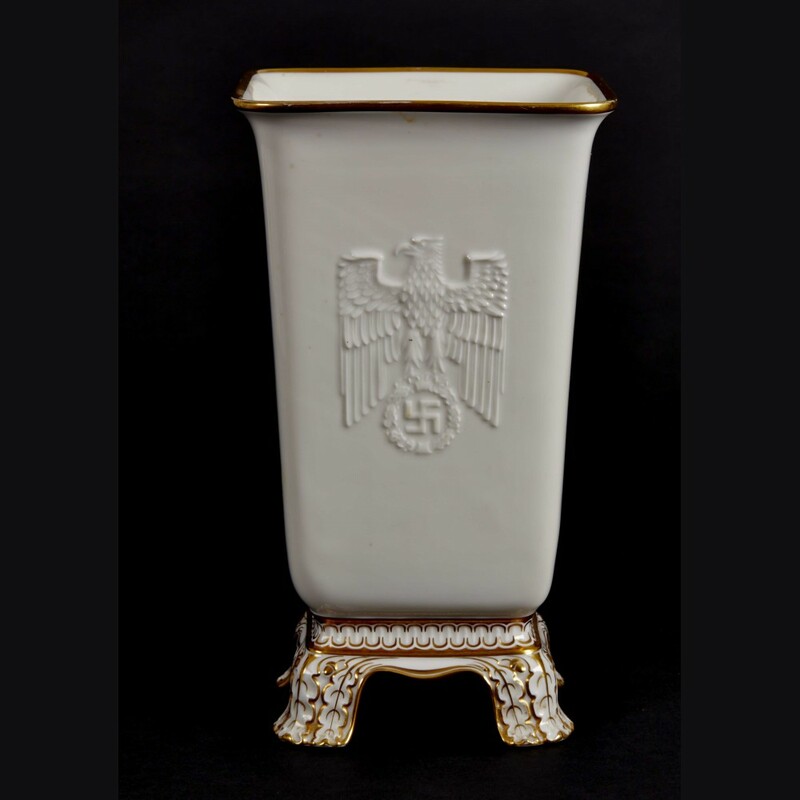 To the rear we have the raised Reich Adler under glaze and integrated in the manufacture. 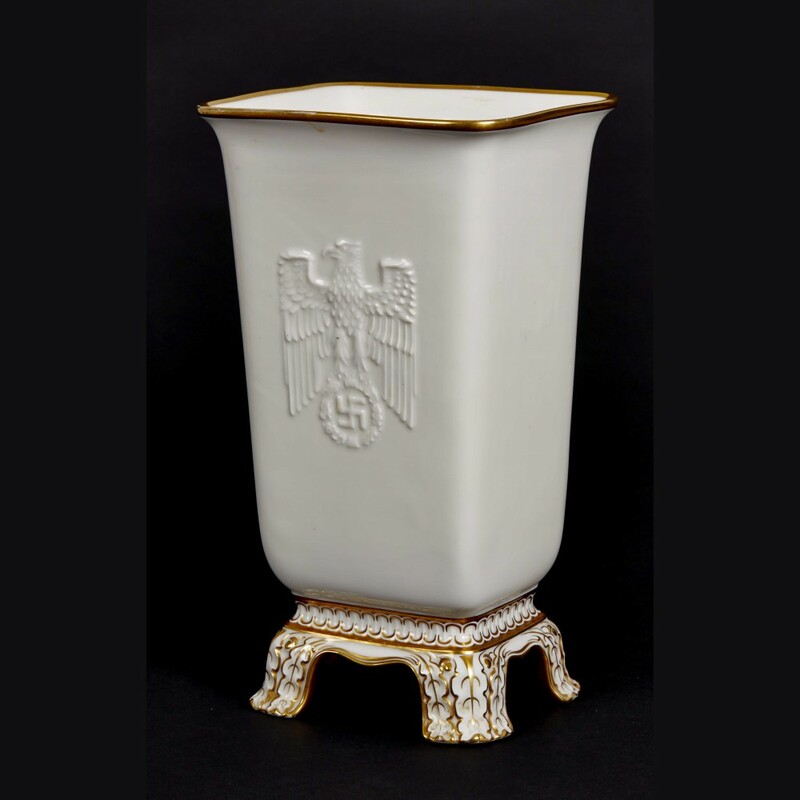 Vase bears a high glaze finish with hand painted gold leaf accents to the upper rim and lower base. 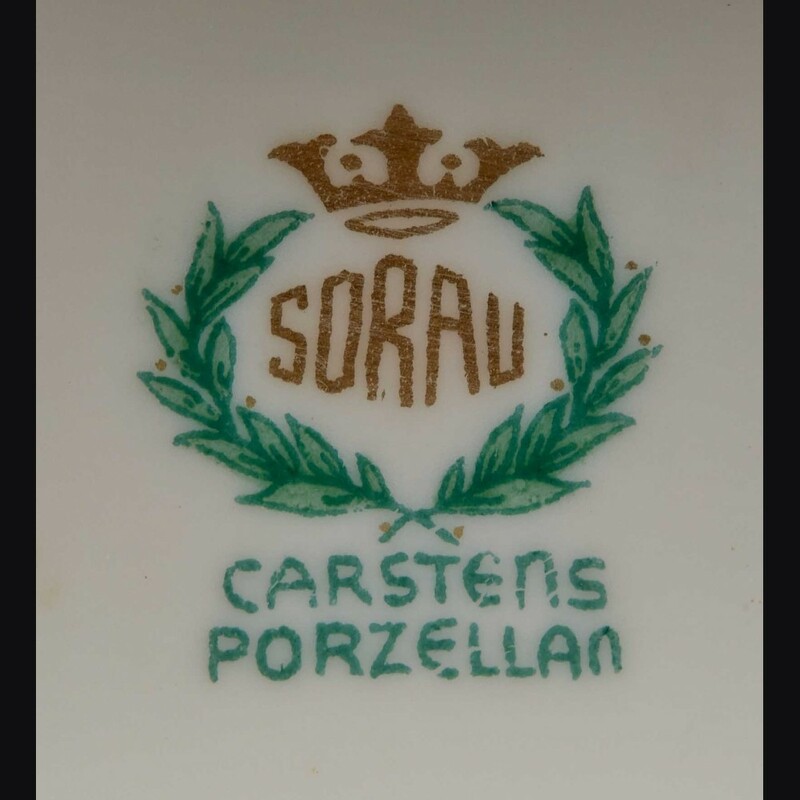 Maker marked to the bottom for the firm Sorau Carstons, the vase is an example of the cottage porcelain industry at the time and one of the rare examples where you see it on a piece of this stature. 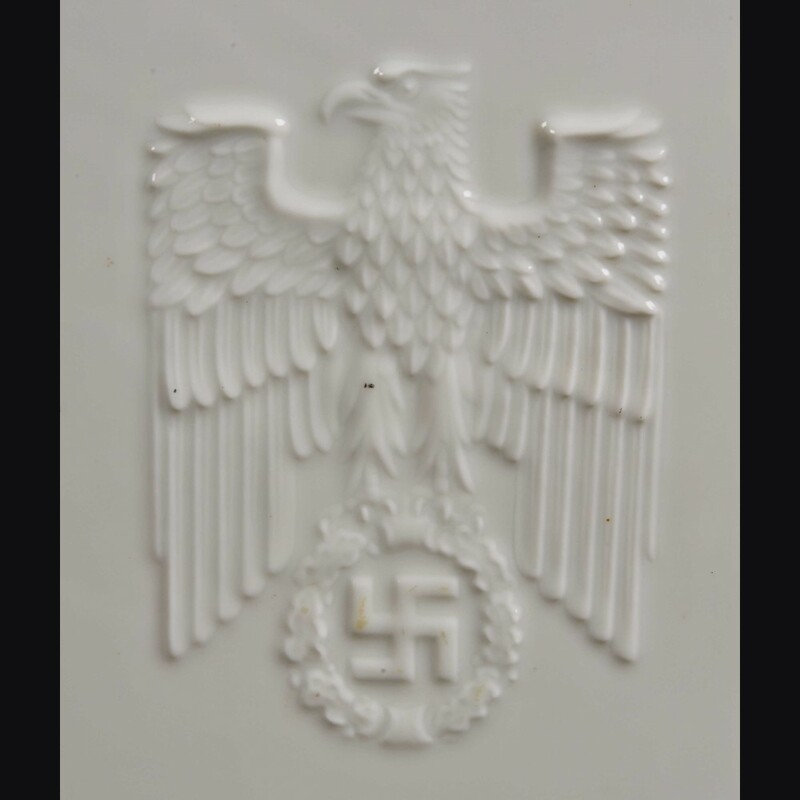 The mark dates to 1925-1945 the latter when it was destroyed at wars end.